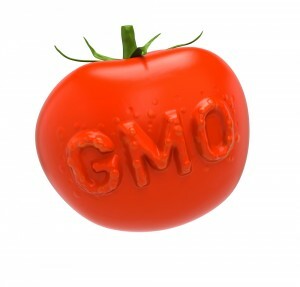 While the debate regarding GM crops is still ongoing, a lot of things have already happened. Not having a general consensus regarding the safety of GM crops has somehow led to its proliferation in many markets in several countries. Credit that to the work of the biotech companies that use their influence to highlight the benefits of GM crops and neglect to mention the possible unwanted effects. In the process, many people only hear about the good things most of the time. And when they do hear about the bad side, people seem to get confused. It is important for many people to take stock of both sides before they reserve personal judgment regarding GM crops. But once they do, only then will they realize that it may not be as good as previously thought. There are many indications that will lead people to believe that GM crops may be something that were somehow forced into the agricultural market in a very short time span. It is interesting to note that most of the GM plants now available in the market have not gone through extensive safety testing before they were approved for public consumption. That alone may be sounding alarm bells. Another thing to note is that even the scientific community has not arrived at a general consensus whether GM crops are proven safe for the public. The result is that GM crops already cultivated in countries without the necessary safety standards put in place. With all these happening, it begs one to question, do we really need GM crops? Somehow the answers may indicate that we do not. From the farmers down to the public consumers, the benefits of GM crops may not be enough to justify its cultivation with regards to the potential risks they pose. A number of reasons support this. When it comes to yield, some GM crops are just as comparable to natural or non-GMO hybrids. This is especially true to comparisons between GM and non-GMO corn. There are now non-GMO corn hybrids that are at par or even better than GMO corn when it comes to yield. One big problem with GM crops today is that they are designed to have better pest resistance properties. Although that may be considered a benefit, the way they are designed is to have the means to resist the damaging effects of the most powerful herbicides to control pests. The same powerful herbicides are usually those sold by the very companies that make the GM crops. This may be quite beneficial, that is, until the pests begin to develop resistance against these powerful pesticides. GM crops often cite lesser use of powerful herbicides to protect the plants. However, the pests that the powerful herbicides aim to protect the plants from have begun to develop resistance. What ensues is that farmers eventually have to use more and more of the pesticides in order to control the same pests. And the use of pesticides increase, this somehow defeats the purpose of the initial benefit being offered by GM crops. Cultivation costs eventually increase while more powerful pesticides are needed as pests develop resistance. So, based on these reasons alone, do we really need GM crops?